Description: This 3D street racing title from Ubisoft will feature a number of licensed vehicles. 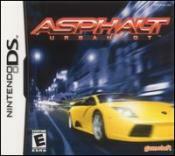 This is a list of VGCollect users who have Asphalt: Urban GT in their Collection. This is a list of VGCollect users who have Asphalt: Urban GT in their Sell List. This is a list of VGCollect users who have Asphalt: Urban GT in their Wish List.